The overall objective of the program “Financial Inclusion for Inclusive Growth in Europe II” is to widen and deepen financial inclusion of the European citizens. To achieve this, the MFC program encompasses advocacy and capacity building for EU practitioners and policymakers. 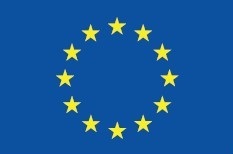 To increase MFI awareness of the current EU policies and programmes existing (e.g. 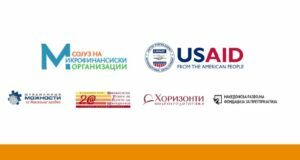 : the EaSI Programme) that support improvements in providing finance to excluded groups, and engaging with policy-makers on improvements to legal and regulatory frameworks for inclusive finance. To develop the capacity of MFC members and non-members to overcome barriers in access to finance for micro-entrepreneurs and social enterprises. To deliver relevant data and analysis on important themes to practitioners and EC stakeholders. Conduct research topics of key importance to MFIs, such as serving start-ups, digitalization, financial instruments needed for microfinance sector development, business development services (BDS), etc. Disseminate news to share relevant information to key stakeholders. 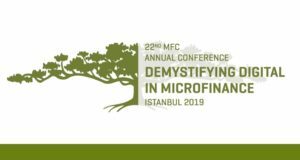 Organize workshops and meetings related to the financial inclusion agenda at MFC Annual Conference 29–31 May in Istanbul. Co-hosting the MFC-EMN Annual Conference in Bilbao, Spain, attended by more than 600 participants, including one workshop that proved very popular with delegates: New financial instruments for EU MFIs, as well as a special working lunch meeting organized between EC representatives and MFC members to discuss trends and developments and allow informal exchange. Holding nine country meetings/visits in Albania, Bulgaria, Greece, Hungary, Republic of North Macedonia, Poland, Romania, Serbia and Turkey to discuss with local stakeholders topics related to financial inclusion. Creating three working groups: The EU Code Working Group, which submitted its recommendations in May 2018 to the EC; the Digitalization Working Group which among other things helped to select topics for case studies, and the BDS Working Group. Creating two national working groups in Albania and Romania. Hosting eight webinars on current trends and best practice on key sector topics such as digitalization.